When it comes to human rights, theory and practice are inextricably linked for Bonny Ibhawoh. That’s because the director of McMaster’s Centre for Peace Studies started his career, not in academia, but as a practitioner and activist, working with the Danish National Centre for Human Rights in Copenhagen and then with the Carnegie Council for International Affairs in New York. As a boy growing up in Nigeria, Ibhawoh quickly became aware that human rights were trampled in times of conflict – and, as he got older, he realized that far from being universal principles that governed the conduct of nations, human rights were easily forgotten in the jockeying for power that accompanied political instability. Now, Ibhawoh is a published author, policy adviser and a professor in McMaster’s department of history and the Centre for Peace Studies. He’s also worked as a consultant for national and international human rights organizations, working as a research consultant for the Canadian Museum of Human Rights in Winnipeg, helping the museum develop a global human rights timeline, and with the UN in the United Nations Development Program and in the Office of the United Nations High Commissioner for Human Rights. He recently embarked on a five-year, SSHRC-funded research project investigating national truth commissions in six countries – South Africa, Liberia, Sierra Leone, Nigeria, Morocco and Ghana – a large project that Ibhawoh hopes will be the foundation both for an international conference when it’s completed and for a permanent centre for global truth and reconciliation studies at McMaster. It’s an ambitious project – according to Ibhawoh, more than 67 national truth commissions have been established worldwide since the first ones in the 1980s in Latin America. Of those, one-third have been in Africa, with many in the last two decades situated in West Africa. Both Australia and New Zealand are debating establishing initiatives similar to Canada’s recently concluded Indigenous Truth and Reconciliation Commission. While the general mandate of truth commissions is similar – to investigate human rights violations and create a historical narrative to assist in nation “(re)building” – the nuances of each country’s process are different. Ibhawoh, for example, is looking at truth commissions that arose from conflict (South Africa, Sierra Leone and Liberia) and those that were sparked by a transition to a democratic government (Morocco, Ghana and Nigeria). Ibhawoh spent much of this summer in Liberia, and plans to travel back and forth between Canada, Africa and the Middle East over the next two years, working with a team of researchers and student research assistants. They’ll be combing through records, many of which are not digitized, conducting interviews and administering surveys. And while Ibhawoh anticipates the standard academic outcomes, including a book and journal articles, for him, research means nothing if it isn’t applicable to people’s actual lives. 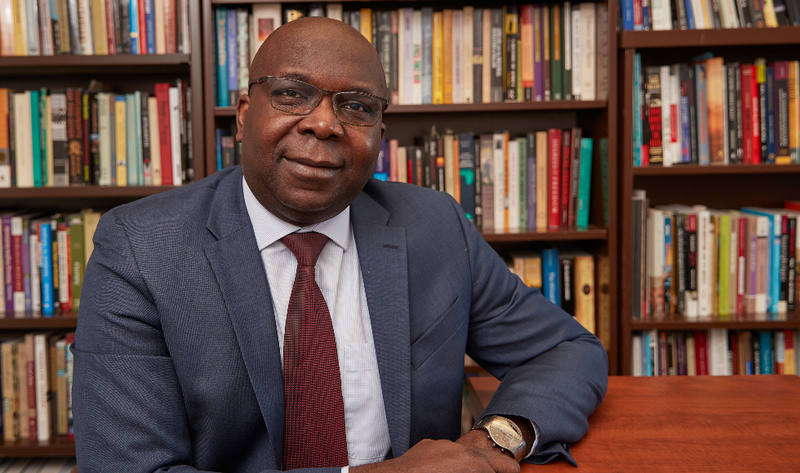 Much of Ibhawoh’s work focuses on the study of human rights in Africa and the Middle East – but that doesn’t mean he isn’t keeping a close eye on the world at large. And, sadly, he isn’t encouraged by what he sees. While there are indeed fewer wars being waged around the world, he points out that overall global peacefulness has been declining for the past seven years, as domestic terrorism, insurgencies, oppression and revolts take hold in countries across the globe. MSc Global Health student Carley Granger is on exchange at the University of South-Eastern Norway, where she is studying how global health issues affect Indigenous communities in Norway and Canada's Arctic regions. Because it's a slippery concept to define, people don't always realize the smart city exists all around us, in various forms and spaces. McMaster researchers are part of a team that has mapped out smart city tech around the country.